This was James Dean's Rolleiflex camera, tripod and case that was given to him by his close friend and photography instructor Roy Schatt while he was learning photography. 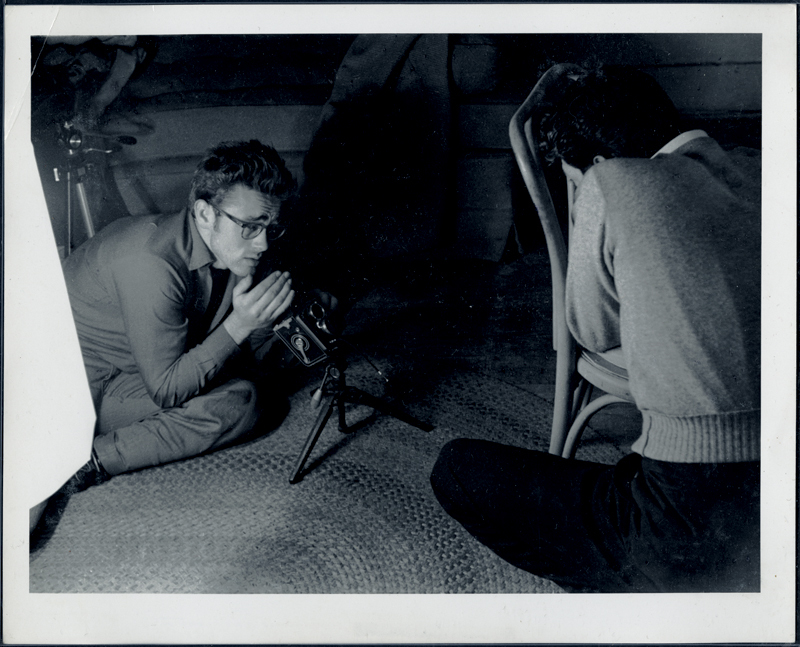 The famed photographer, responsible for the iconic photographs he took of Dean in 1954, including the "Torn Sweater" series, was Dean's friend and teacher in the last year and a half of Dean's life. 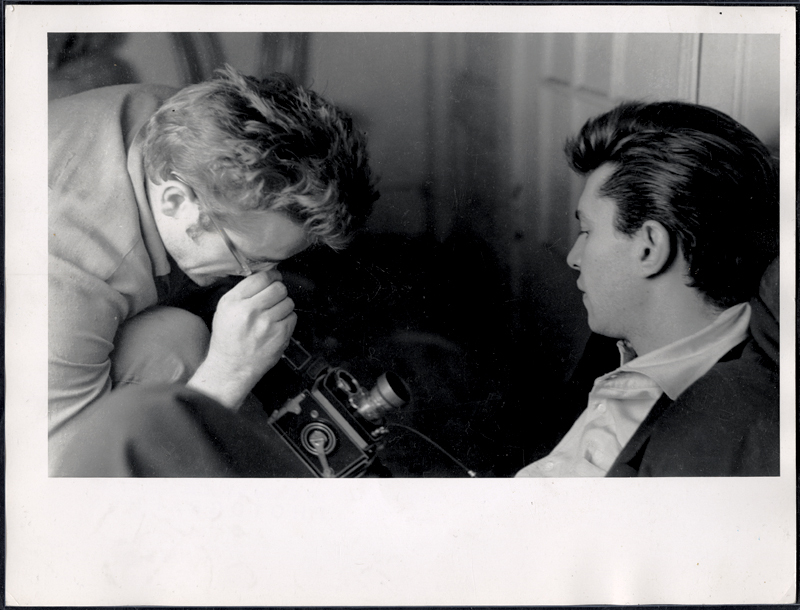 At that time Schatt loaned this camera equipment to Dean and he can be seen with the camera here in one of Schatt's famous shots of Dean at the Dakota in New York City. 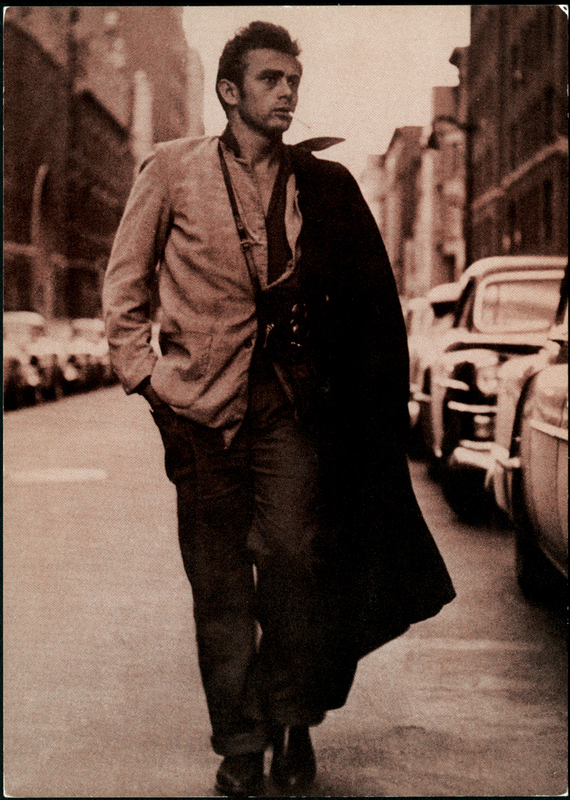 Walking with Schatt and actor/friend Martin Landau, Dean jumped over a rail in front of the Dakota and Roy took this photograph of Dean photographing them. 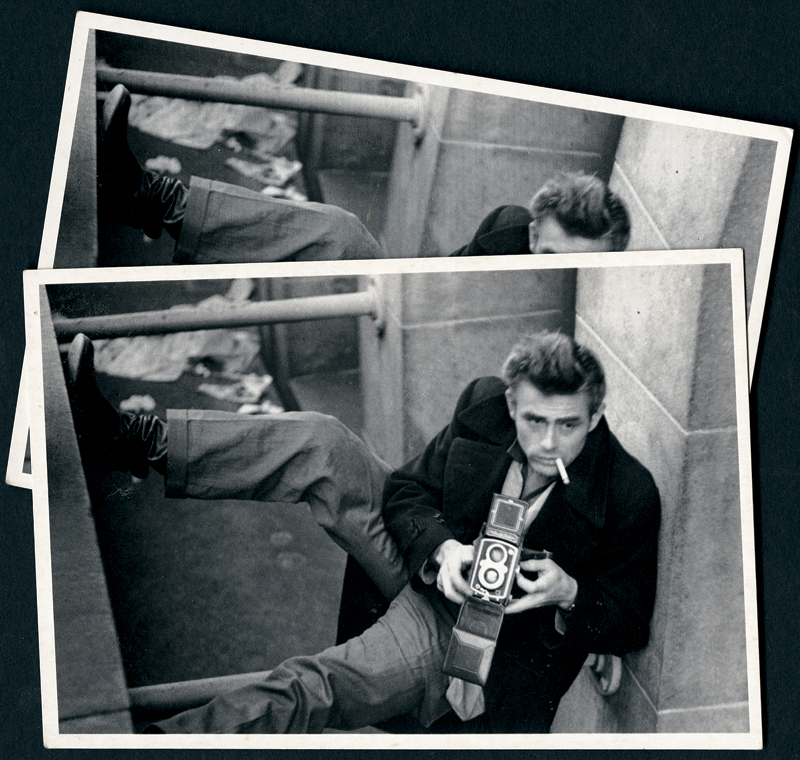 These images and details of the close friendship between Schatt and Dean can be found in Schatt's famed book "James Dean, A Portrait" which accompanies this lot. 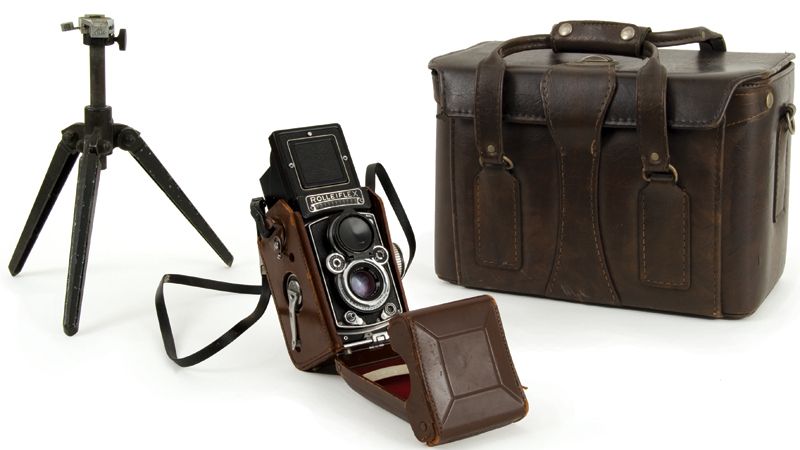 The camera and accessories come from Roy Schatt's family and a letter from the family accompanies this lot.